You must be a member of the New York Theater Night Out Group to attend this activity. Would you like to join this group? Reimagine the unlikely activists who set the nation ablaze! It is Protected content the war is raging in Vietnam. A draft card is viewed by many as a death certificate. In the midst of a divided country, with corrosive mistrust in government and authority, nine would-be bystanders in Catonsville, Maryland decide that complacency is complicity — it is time for action. Their single act of conscience to halt the draft awakens a national resistance. 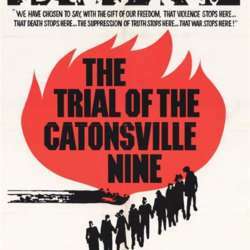 Transport Group Artistic Director Jack Cummings III has radically re-imagined this provocative piece of theatre created from the actual court transcripts of the Catonsville Nine trial. Three Asian-American actors play over a dozen roles as they excavate the stories and inspiration behind these history-making activists. This production is in partnership with the National Asian American Theatre Company (NAATCO). I've seen many works from NAATCO before and am excited to bring this new show to the attention of our diverse InterNations members. Please join me in supporting local theatre and artists of color! See Goldstar for discount tix @$29 each plus fees. Show end time is approximate. Plan appropriately. We will go out for drinks and snacks after the show. I will disclose the venue only to those who attend. NO-SHOWS are NO FUN! Do not RSVP if you do not buy tickets.